“There's nobody else out there I hear even attempting to cover some kind of similar range, and do it so convincingly” — All About Jazz regarding Wayne Horvitz Wayne Horvitz is joined by Vancouver BC cellist Peggy Lee for a concert of original compositions and improvisations in an intimate gallery setting. Ms. Lee and Mr. Horvitz have worked together in a myriad of projects for well over a decade. Enjoy the music surrounded by fabulous watercolors by renowned Seattle artist Tom Hoffmann featured artist for March. 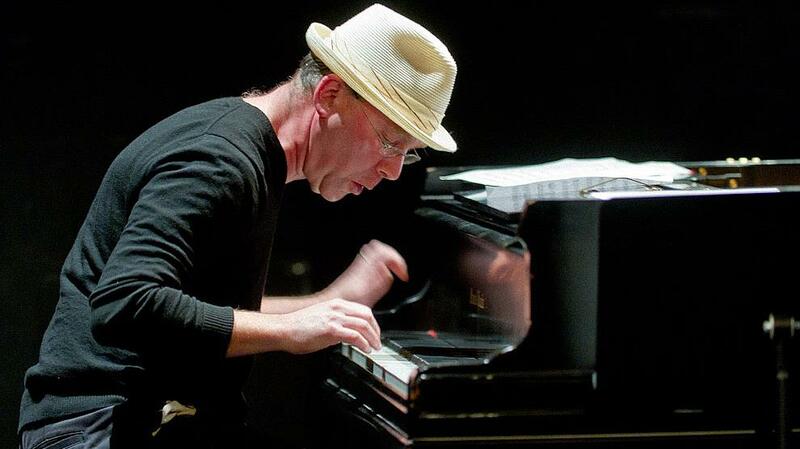 Wayne Horvitz is a composer, keyboardist and record producer. He came to prominence in the Downtown scene of 1980s and '90s New York City, noted for working with John Zorn's Naked City among others. Horvitz has since relocated to the Seattle, Washington area where he has several ongoing groups. Cellist, improviser, composer Peggy Lee makes her home in Vancouver, BC where she leads or co-leads a number of musical projects including theater and film. .